Many Choices and So Versatile! 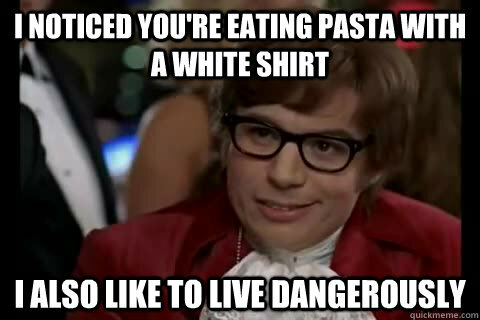 Pasta is an item that has taken over major portions of many American restaurant menus. Choices and versatility are understatements when talking pasta. There are so many kinds, shapes and flavors, each having its special uses and recipes. You can eat it hot or cold. It is used as an entrée, a salad and a side dish. Don’t worry. Find quality recipes and it’s a little like “painting by the numbers.” The right recipes are on this website. You can cook with confidence and style. These restaurant recipes have been tested (tasted), approved and requested by real restaurant customers over the past three decades! Each is a favorite restaurant recipe. 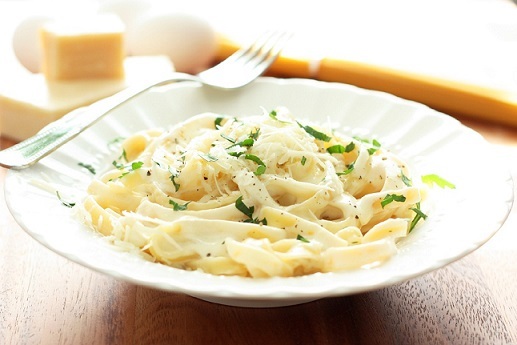 Fettuccine Alfredo. It’s true! If you master this restaurant sauce recipe for classic Alfredo Sauce, you’ll be able to cook literally dozens and dozens of other great tasting recipes with little or no difficulty. Preparation time: about 45 minutes. Number of servings: one quart, about 10 servings. Fettuccine with Scallops and Asparagus. This restaurant recipe uses the classic Alfredo sauce with scallops and asparagus. Don’t like scallops? No problem. You can use any seafood item in place of the scallops. Preparation time: 20 minutes. Serves 6. Scallops and Linguine. This Sea Scallop Pasta Recipe calls for linguine, but you can substitute fettuccine or other long, narrow pastas. Preparation time: 20 minutes. Serves 4. Chicken Pesto Fettuccine With Sun-Dried Tomatoes. This Chicken Pesto recipe is a favorite restaurant recipe for both chicken and pasta lovers. 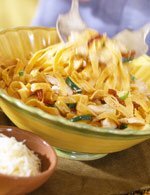 The addition of sun-dried tomatoes is one of the ingredients that make this a secret restaurant recipe. Preparation time: 20 minutes. Serves 2. Shrimp Fettuccine. 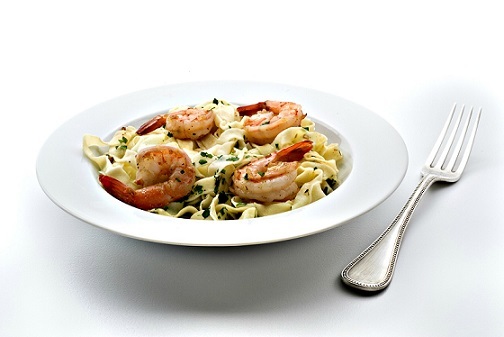 This recipe for shrimp fettuccine was submitted by a reader of the website. I put the shrimp fettuccine recipe to the ultimate test (served it to my guests). The recipe calls for skim milk and part-skim Ricotta cheese to help reduce the calories in the meal. Preparation time: 15 minutes. Serves 4. Italian Sausage Lasagna. Lasagna speaks to the tradition of sharing a meal. Preparation time: 45 minutes plus baking time is 65 minutes with a standing time of 10 minutes. Serves 8. Penne’ & Smoked Salmon with Asparagus Salad. Preparation time: 45 minutes, but the salad should be chilled for at least one hour when finished. This restaurant recipe serves 6-8 people depending on portion desired. ENJOY! Vegetarian Fettuccine or Linguine Recipe. Lots of yummy vegetables sautéed in olive oil with herbs and seasonings. Serve this with some crusty bread! Preparation time: about 30 minutes. Serves 2. Thanks for visiting! And don't forget to visit the article about pasta for more information. And please remember The Cooking Resource Store for the tools you might need. AND...If you want these recipes in a beautiful full color paperback or e-cookbook, just click here. 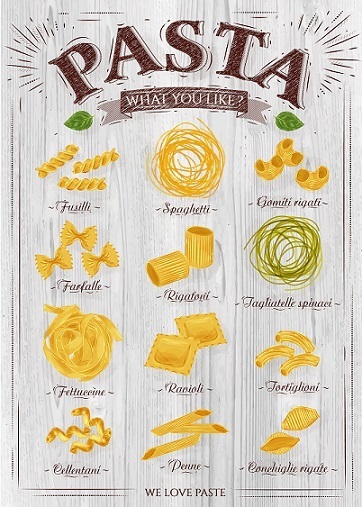 Information about Pasta and Your Diet. ENJOY your recipes and the company of those you share them with! Did you know? 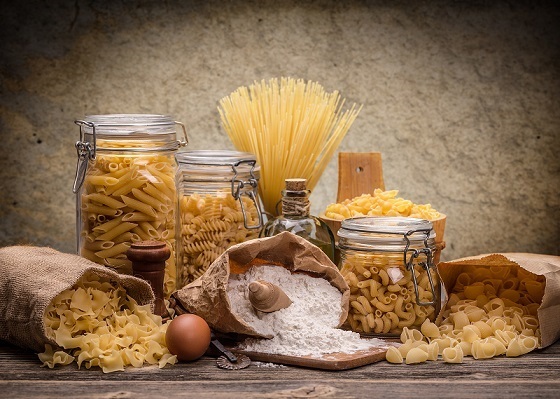 The National Pasta Association originally formed as The National Association of Macaroni and Noodle Manufacturers of America in 1904, making it one of the oldest trade associations in the United States.